This year has begun fast and furious, with buyers seeking million dollar-plus homes circling in and out of Bozeman, most on their first round of touring property here. We have noted there is an evolution in the thinking of today’s buyers. Like previous buyers, they have done a good deal of internet research and have worked extensively with their agent prior to arriving here. What sets them apart is that they are not expecting “bargains” due to an economic downturn, but rather are insisting on “value”. Pricing is now more important than ever before. The buyers know the comparable pricing per-square-foot for homes in Bozeman and elsewhere in the country. They know what the price per-square-foot should translate into for quality, finishes, acreage, location, view shed, etc. It is, in many respects, harder than ever to bring a high-end negotiation to a completed transaction. than ever given buyers’ insistence on value.This market report covers Schlauch Uhlmann Platinum Properties’ target market, which is properties priced $500,000 and above in MLS Areas 1 & 2, Bozeman inside and just outside the city limits. MLS Areas 1 & 2 encompass a big circle stretching from the mouth of Gallatin Canyon on the south west corner to Four Corners, then north to Springhill (but not Belgrade), into Bridger Canyon and Jackson Creek, over 1-90 to Trail Creek, and from Livingston Pass along the Gallatin Range back to Gallatin Canyon. Currently, there are 173 homes listed in MLS Areas 1 & 2, priced $500,000 and above. Historically, this is the time of year when homes come on the market, especially those removed from the market over the winter months. There are only 8 additional homes on the market now than at the beginning of 2015. Inventory is tight. This is especially true in homes priced $500,000 to $1,000,000. Of the 173 listings, 102 homes are under the million dollar list price, which represents 59% of the number of homes available, however, homes between $500,000 and $ 1 Million account for 81% of the sales for homes $500,000 and above in 2015. There have been 33 closings for homes $500,000 and above in the first quarter of 2015. The average of asking price to closed price has increased from 94% to an amazing 97%. Average Days on Market (DOM) fell from 2014 average of 205 to an astonishing 134 days. Homes in the $500,000 to $750,000 range are averaging 102 DOM. or it will be snatched out from under you!For homes priced $750,000 and above, the closed sales figures for the first quarter of 2015 have decreased to 13 sales compared to 16 at the end of the 1st quarter 2014. The biggest segment of the market is the $500,000 to $750,000 price range. The recovery of the economy has made it possible for current Bozeman residents to buy first homes or “trade up” and purchase a more expensive home. Bozeman is also attracting many new, full time, working families who can afford this price range. Inventories are very low. The only new homes on the market in this range are in the sub divisions that have taken off since 2012—Meadow Creek, Alder Creek, Loyal Gardens, and numerous ones off 19th between Peach and Valley View. Higher end sales are lagging.Given the activity in the 3rd quarter of 2014, the results so far for 2015 are lackluster. In the $1 to $2 million range, there have been 5 closings, with 4 of them being below $1.35 million. There has only been one home over $2 Million to close, compared to 3 in 2014, and this home sold for $2,150,000, which is 79% of its original asking price when first listed in August of 2011. There is 1 home over $2 million currently pending, and that home has a list price of $2,175,000, which is 75% of its original June 2011 asking price of $2,890,000. Downtown is the clear “hot spot” this first quarter.Fourteen of the 33 closed transactions of properties $500,000 and above are for properties in and around the core of downtown Bozeman, with a $1,125,000 sale the highest transaction. Homes downtown, both north and south of Main Street, averaged 94 DOM. The south side, with 8 closed transactions, was the next concentrated area of action. We brought the buyers for 1 of the south side properties over $1 Million. The north side has had 7 closings over $500,000 in 2015, with Platinum Properties enjoying the highest sale, at $1,125,000. North side homes are averaging 172 DOM. 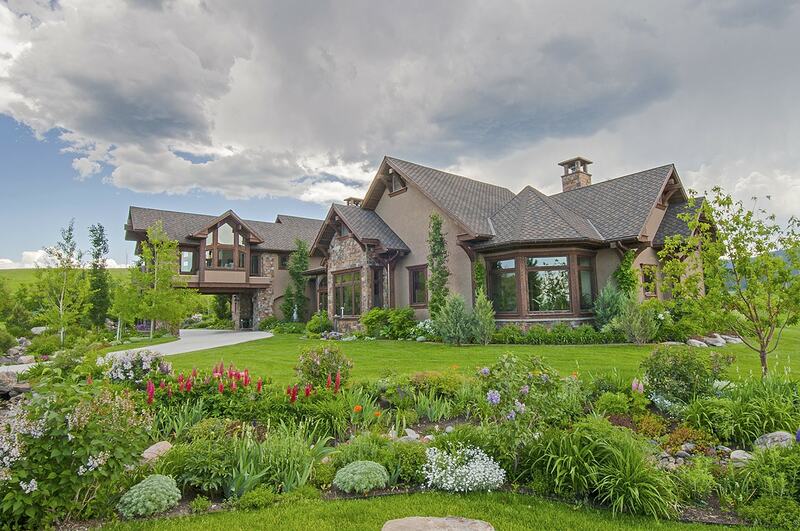 Other sales have included a $850,000 closing in Bridger Canyon, 2 closings in Four Corners with $521,000 the highest figure paid, and 1 in Gallatin Gateway. Vacant land for single family residents on 5 acres or more has remained relatively flat for the 1st quarter of 2015 compared to the first quarter of 2014. However, there are noteworthy changes. Inventory levels have decreased from 133 listings in 2014 to 121 in 2015. The ratio of list price to closing price has increased from 67.8% at the end of the 1st quarter 2014 to a very robust 91% in 2015. A total of $3,761,250 of closings are reported, with 10 transactions. There are 12 transactions currently pending. Closed transactions include 2 in The Homestead, a subdivision listed by Platinum Properties. We were dual agents in the highest closed land transaction of 2015. Two closing have taken place for Trail Creek land and 2 in Bridger Canyon. 80 acres is the most acreage to sell, closing at $6,500 an acre. Please call us with any questions, comments, or real estate needs.